A delegation of leaders from Friendship Circles in North America will visit Israel this month to share expertise with top innovators there, including Israel Prize winner Maj. Gen. Doron Almog, above, founder of Aleh, a rehabilitation village in the Negev serving thousands of children with special needs. Almost 25 years after its founding, Friendship Circle will further complement the lives of people with disabilities during an unprecedented leadership mission to Israel from April 22-26, designed to tap the country’s significant advances in the field and facilitate an exchange and sharing of information by all. “This is not a standard mission,” said Rabbi Tzvi Schectman, coordinator of a trip that will bring together a wide circle of executives and leaders of organizations that cater to the special-needs community in North America, with a lineup of Israel’s special-needs innovators and government leaders. “There are many types of missions to Israel—family missions, general Jewish missions, Birthright missions, even missions dedicated to learning about Israel’s technology—but this is the first mission focusing on and bringing community leaders from across the U.S. to learn how Israel is providing support to people with special needs,” Schectman, who with his wife, Sarah, serve as family coordinators at Friendship Circle in Michigan, tells Chabad.org. On the agenda for the estimated 50 mission participants are visits to some 20 Israeli startups focused on improving the quality of life for people with disabilities. A visit to the Weizmann Institute of Science, which does advanced research on many of the world’s most challenging health issues, will provide a peek at the latest advances in autism research, accessibility for people with physical disabilities and the integration of children with disabilities in schools, areas of Israeli specialty. Visits are also planned to some of Israel’s pioneering organizations in the field, such as Colel Chabad’s new Beis Finger rehabilitation center in Jerusalem for people with neurological disorders; Special in Uniform, which integrates young people with autism and other disabilities into the Israel Defense Forces and Israeli society; the Dror Program at Tel Aviv University, which provides specialized schooling and vocational training to young adults with high-functioning autism spectrum disorders; the Israeli Society for Autistic Children, a prominent resource for families coping with autism and pervasive developmental disorders; and Aleh, a rehabilitation village in the Negev serving thousands of children with special needs. There they will meet Israel Prize winner Maj. Gen. Doron Almog, founder of Aleh, whose son Eran had severe autism and passed away at the age of 23. The ranks of the mission will include about eight Friendship Circle chapter directors and some of their donors from around the globe, along with Richard Bernstein, a Michigan Supreme Court justice; Michael Alessandri, executive director of the University of Miami Center for Autism and Related Disabilities, who holds a doctorate in psychology; and the leadership of a prominent supporter of services for those with special needs, the Cleveland Foundation. The group will be addressed by Michael Oren, Israel’s deputy minister and former Israeli ambassador to the United States; Ron Gerstenfeld, Israel’s deputy director of public affairs; and Avraham Torem, Israel’s commissioner for disability rights. The goal is not only one-way learning, but also exchanging and sharing, said Schectman. 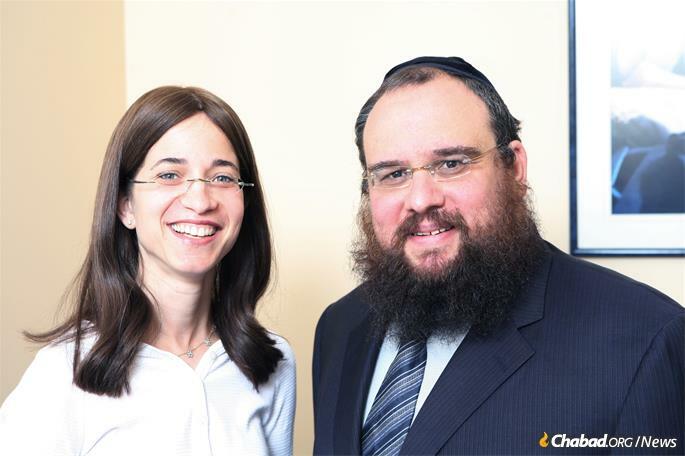 The idea for the mission, named “The Exceptional Israel Ability Leadership Mission”—or “Exceptional Israel,” for short—came from Rabbi Levi Shemtov, co-founder of worldwide Friendship Circle, who with his wife, Bassie, conceived the original concept in 1994. 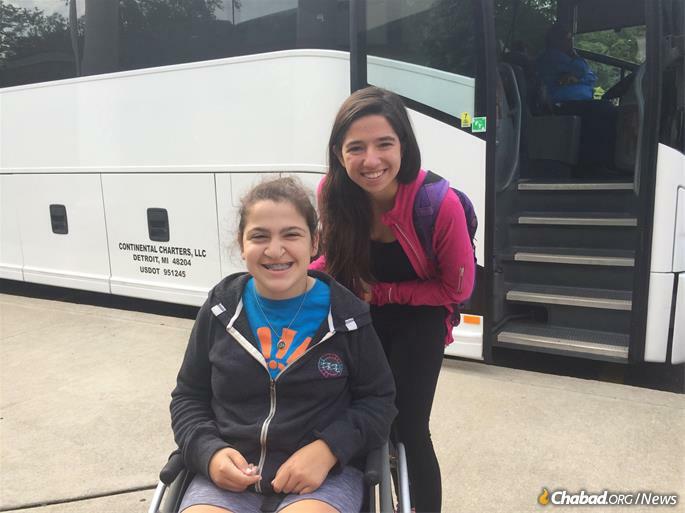 Since the initial matching of what were eight teens with eight kids with special needs, which she arranged in those formative moments, Friendship Circle has become what is believed to be the largest Jewish organization in the world catering to children with special needs, and an innovative influence on the field worldwide. It has expanded beyond its core offering that is still called the Friends At Home program to include sports nights, martial arts, summer and winter camps, and more inclusive family programs. It now has some 11,000 participating teens visiting an estimated 7,000 children at homes in 80 cities, sharing friendship, love and fun through activities ranging from baking and coloring to going for walks and reading—and thereby bettering lives. One of the most elaborate projects in the worldwide network is the Meer Family Friendship Center in West Bloomfield, Mich., which houses the Ferber-Kaufman LifeTown, now duplicated in Livingston, N.J., and Columbus, Ohio. The 20,000-square-foot Michigan facility incorporates the Weinberg Village, a model city that includes a general store, movie theater, restaurant, pet shop and bank, where volunteers act as shopkeepers, pedestrians and other townspeople to allow the children to learn social skills in a hands-on setting. The upcoming trip, under the leadership of the Shemtovs and Schectman, is being undertaken with the partnership of Friendship Circle Jerusalem and Access Israel, which among other things, hosts an annual special-needs access technology conference. 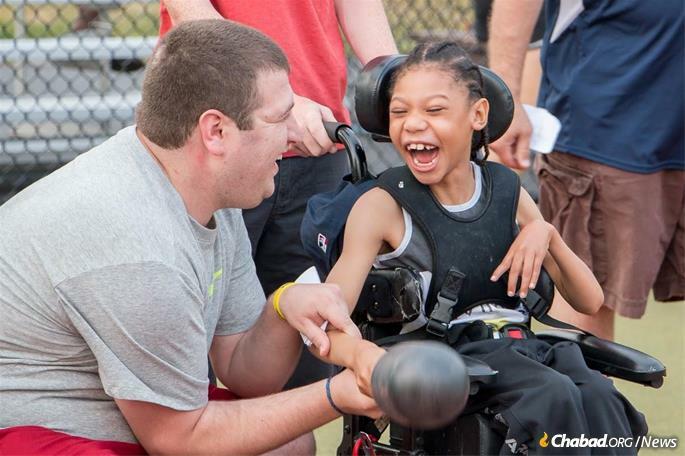 Friendship Circle pairs volunteers, mostly teens, with young people with special needs. The mission leadership feels that the trip will also serve to put Israel’s pioneering efforts in the arena more on the map until now overshadowed by its other technology and innovation feats. “While Israel has a great reputation for their technology and startup culture, very few know about its significant advances in research, technology, programming and accessibility for individuals with disabilities,” a statement about the mission said. But most of all, the trip is aimed at advancing the well-being of thousands of Friendship Circle children and parents worldwide, such as Ron Hodess, his wife, Sue, and their two children, Jay and Andy, both in their 20s. 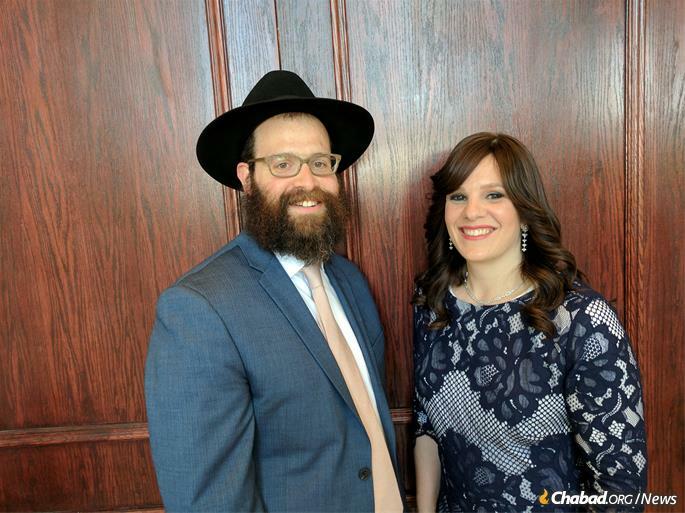 Rabbi Tzvi and Sarah Schectman serve as family coordinators at Friendship Circle in Michigan. 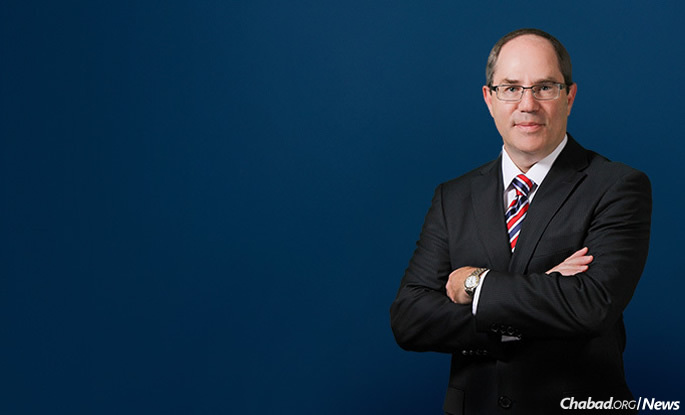 Ron Hodess, an attorney who signed up for the mission as a longtime Friendship Circle Michigan donor and chair of the organization’s board. Participants at a Friendship Circle event in Michigan.